Young participants engaging with our newest Art Biker during a training session at Wonder'neath's Open Studio. 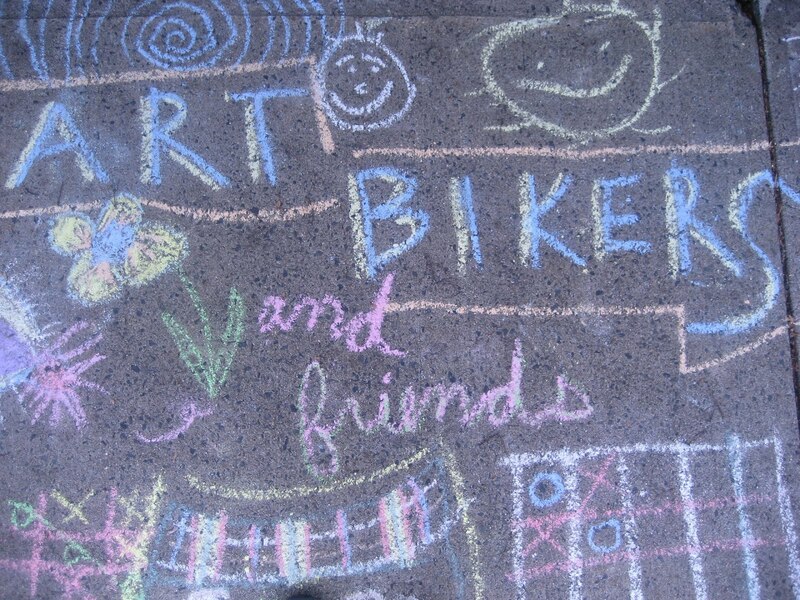 Art Bikers hone their facilitation skills and support the creative ideas of youth and families during lively drop in sessions that are free to the public! The whole team works with Art Bikers co-founder to learn about their gifts, talents, and skills and then discusses what we are bringing individually and collectively to communities around Halifax. Beginning our brainstorming session is always a season highlight! A trip to the storage locker is always part of our preparation: inspecting trailers and bikes, restocking first aid kits, checking supplies... these are some of the specifics that keep us busy before we meet with all of you this summer! The first ride of the season was to Bayers-Westwood to check on a mural that Art Bikers helped create. It was a gorgeous sunny day and children were eager to inspect the mural with us and share their cartwheels and back flips! Looking forward to returning to this community in the summer.